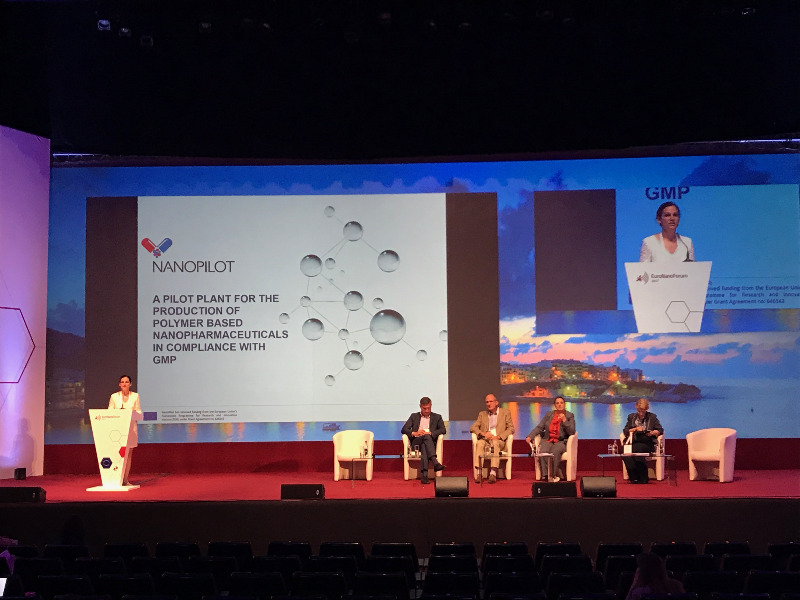 The event took place in Valletta (Malta) between 21 and 23 June and brought together the main continental stakeholders involved in the development of nanotechnologies. Forum, with the presence and intervention of Iraida Loinaz, Business Development Manager of CIDETEC Nanomedicine, within the session entitled Nano-enabled healthcare, nano-medicine and medical technologies. This session highlighted the role of nanotechnology and new materials in solving the challenges and business opportunities in medical and healthcare technologies. In particular, Dr. Loinaz's intervention versed on the Nanopilot project, a pilot plant for the production of polymer-based nano-drugs according to standards of correct manufacturing (NCF / GMP). At the same session, Iraida made a brief presentation of the Pepticaps project. For the first time ever, EuroNanoForum has also had a Hub stand in translational nanomedicine promoted by the European Platform of Nanomedicine. The Hub consists of a network of stakeholders working on five European projects. ENATRANS, which promotes the transfer of Nanomedicine, EU-Nanocharacterization Lab that has established a network of centres specialised in the characterization of nano-drugs, and pilot plants for the manufacture of nano-drugs such as NanoPilot, Nanofacturing and Maciviva. CIDETEC, as coordinator of the NanoPilot project and owner of one of the pilot plants, was present at the stand. In this year's edition, Euronanoforum has emphasized the involvement of the main players in the industry, both large companies and SMEs, with over 70 lecturers representing European companies and other continents, such as AUDI AG, Avantium, STMicroelectronics, Infineon, Arkema or UPM. The conference offered three days of networking and numerous discussions on the latest developments in nanotechnology and advanced materials. The Nanotech Europe 2017 convention was also being held at the time also showing a sample of the latest innovations and advances in the sector.